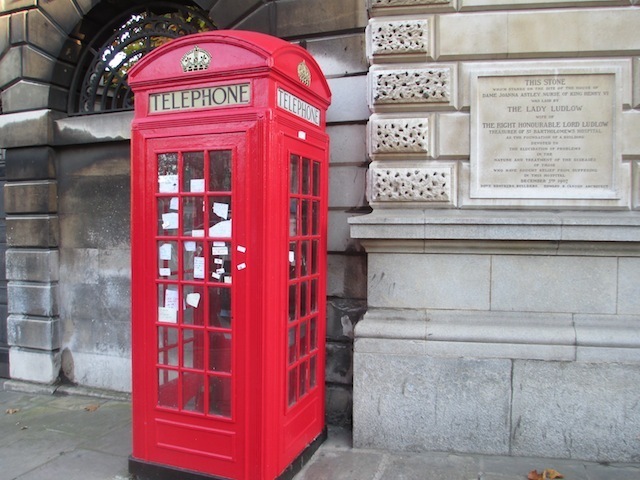 St Bart's, with the phone box bottom left. 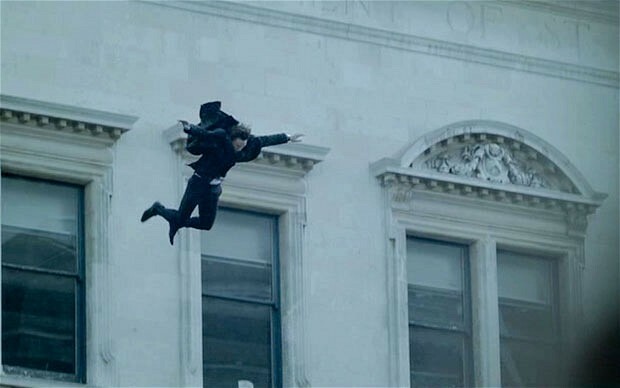 Holmes plummets from St Bart's in this still from Sherlock. 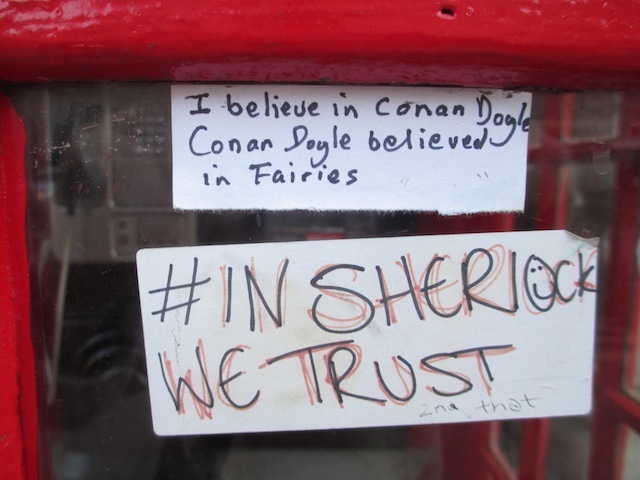 We recently stumbled across this phone box, bedecked with tributes to Sherlock Holmes, outside St Bart's in Smithfield. 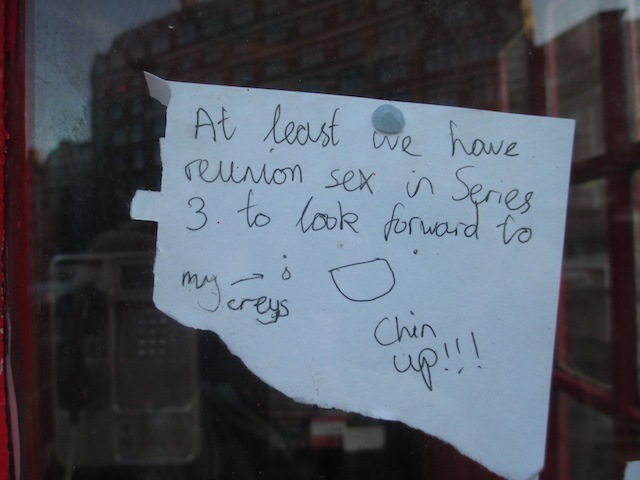 In the last series of the BBC's Sherlock, our hero fell to his apparent death from the roof of the hospital. 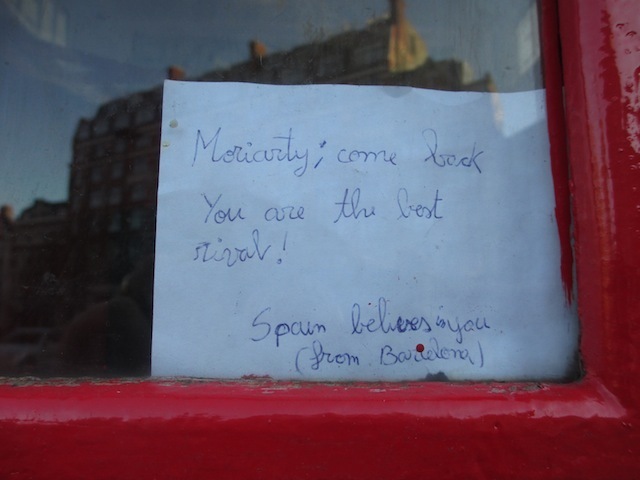 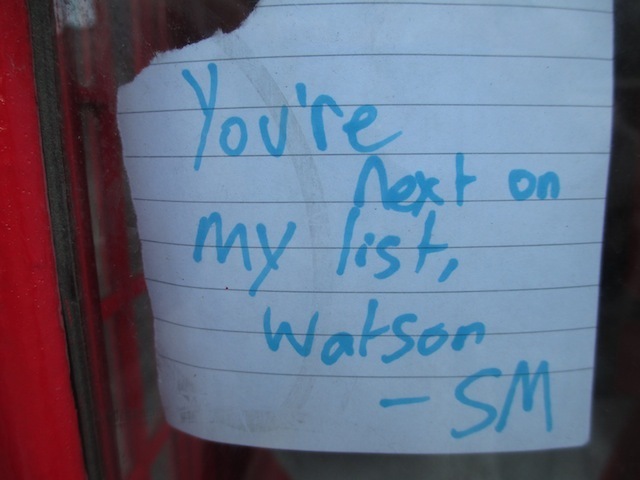 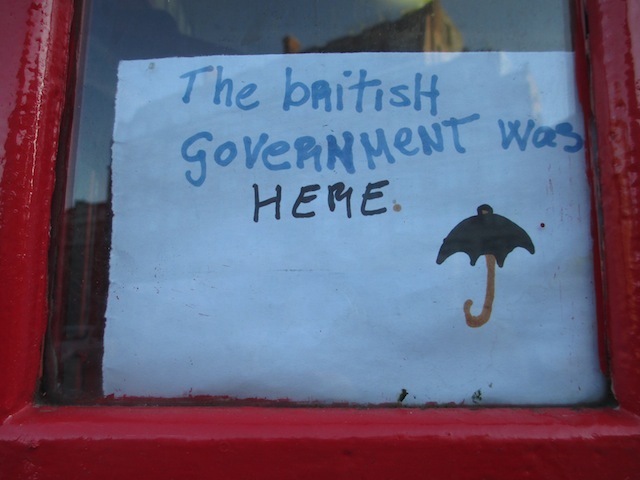 Although the final scene revealed that trickery was afoot, it hasn't stopped fans of the sleuth leaving personal messages at this latter-day Reichenbach. 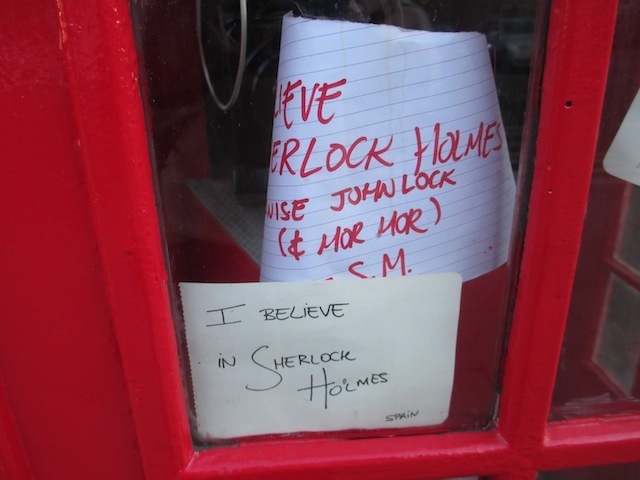 Although most of the notes are tongue-in-cheek, we think an informal shrine at this site is a splendid idea, and very much in keeping with the long tradition of pretending Holmes is a real man, rather than a fiction. 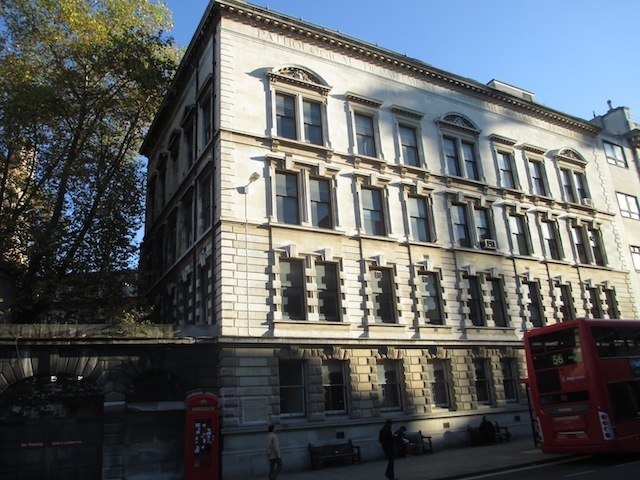 Our map of all the London locations from the original Conan Doyle stories.